South West facing pool deck with no rear neighbors! Here is your opportunity to own a Fully Turn Key, luxury home in the upscale community of Terra Verde perfect to use for your family vacations, an investment property, or as your forever home. A 24 hour guard gated community with resort amenities included club house, community pool, fitness, playground, fishing, tennis courts and more. 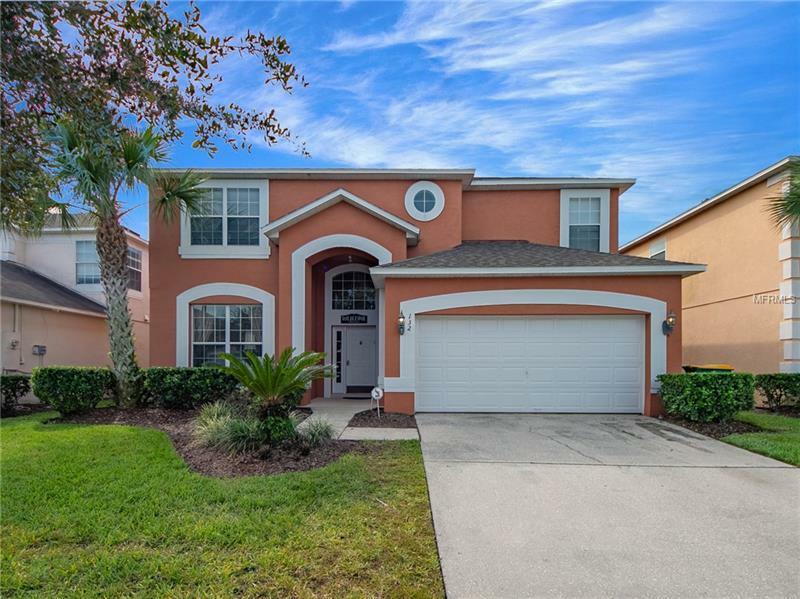 Terra Verde is the ideal destination for vacationers as it is only minutes to Walt Disney World, Universal Studios, Shopping, Restaurants, Golf and easy access to anywhere in Central Florida! Recent upgrades include a New Roof, TWO New A/C Units, Pool Screen Enclosure Fully Re-screened, New Water Heater, LED lights throughout, New Stainless Steel Appliances, Solar and Variable Speed Pool Pump!! This spacious 6 bedroom 5.5 bathroom vacation home boasts an impressive layout with square footage well utilized. Relax in the beautiful pool and spa or just relax on the large pool deck or under the lanai which extends across the full length of the deck. The home is fully furnished with quality furniture and beautifully decorated. Make your appointment to view now!